Mini-bonds are niche financial instruments that allow private investors to invest in a company for a fixed return. This may sound like a somewhat dry topic for a blog post, however, they cropped up in the media recently when it was reported that Hotel Chocolat had repaid £6.4m in outstanding mini-bonds as a result of improved profits. Apparently, the chocolatier raised an incredible £7.3m through the chocolate bonds which was used to invest in capital projects, grow the company and develop sustainable projects. What was most interesting was the news that investors received returns in the form of chocolates and gift cards instead of capital which seems like a novel form of repayment (unless you really like chocolate). Interestingly, another well-known brand who uses mini-bonds is Mexican chain Chilangos; the chain offered two free burritos for those willing to invest £500 and two free burritos a week for anyone who invested more than £10,000. So should everyone be jumping at the chance of buying mini-bonds? As with all investments, caution should be exercised. Unlike retail bonds, it should be noted that mini-bonds are not publicly listed on the London Stock Exchange and regulation in this area is less stringent. Moreover, mini-bonds are non-transferable and non-convertible which may be off-putting to some investors as this means that that have to hold them until maturity for the full term. In one word they are “inflexible”. Therefore if you see advertisements about investing in mini-bonds you might want to do your homework first. Hotel Chocolat had initially funded its expansion through working capital, but decided in 2010 that it needed to raise development capital. It issued a second set of bonds in 2014, raising £7.3m across both issues. 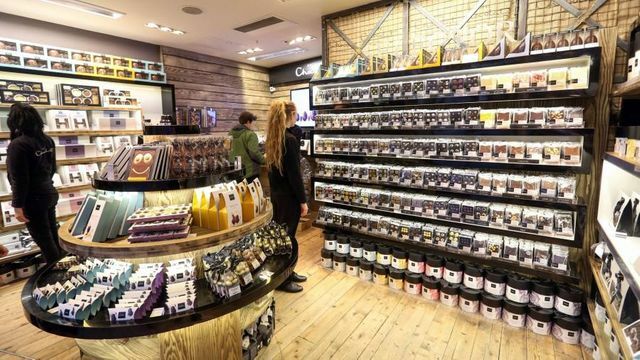 Mini-bonds have faced criticism for their inflexibility — Hotel Chocolat bondholders had to give six months notice if they wanted to withdraw their cash. Among the most eye-catching mini-bond issues so far was a “burrito bond” from Mexican-themed restaurant chain Chilango, which offered two free burritos for those willing to invest £500 and two free burritos a week for anyone who invested more than £10,000.